“Time” in today’s culture has become one of our most treasured possessions (as if you really could possess time). We want to have time to do the things we want, and also the things we don’t want but have to do. And in this struggle between chores and activities, time slips off our hands. We are left with catching up time wherever we can. When I first read that sentence, it struck a few chords in me. We all have things we want to be better at or do more of. But how often are we really happy with the steps we are taking toward it? It is not uncommon for me, since most of the conversations I have are about fitness, lifestyle and goals, to hear people blame their lack of progress on… lack of time. Back to the quote above, the two biggest lessons I took out of it are that time is something you can create and that for something to happen you must prioritize it. Every day starts with 24 hours, taking your sleep time and work time out of the equation you are probably still left with 8 hours (assuming you get a full night’s sleep and work a full day, which is often not the case). The problem is not the hours, but how you manage them. The easiest way to start is by creating a schedule. Planning what you are going to do and when, will probably keep you on the right track. Secondly, would be create a priority list. Write down your goals, fitness related or not, and rank them from most important to least important. Whatever is higher in that list gets the top spot in your “free time”. Need to work on mobility? Want to spend more time with your kids? Have to get runs in for a race soon? Put the most important goal in your most prized time. Maybe it’s before you even go to work. Wake up an hour early to get that run in. 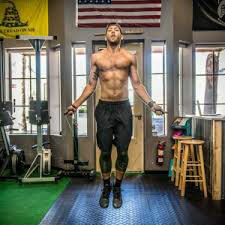 Maybe it’s getting your overhead mobility. So spend a half hour stretching as soon as you get home from work. Don’t find time for it, MAKE it happen. 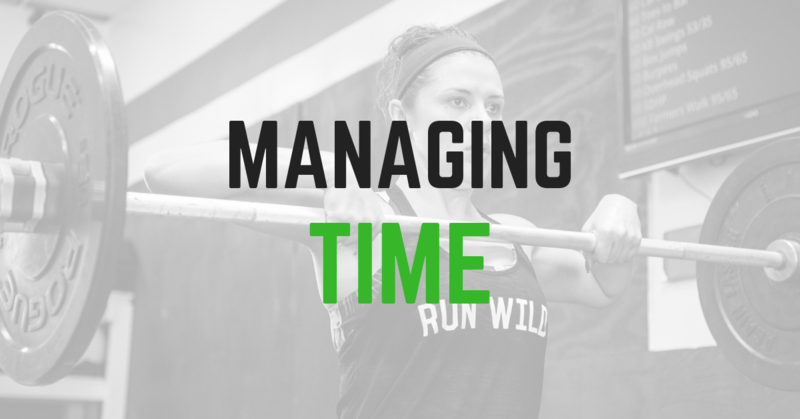 Need help coming up with a way to prioritize your schedule? Stop by Celebration CrossFit and chat with one of your coaches. We would love to help you!